Staff training on the safe, effective use of a crane system is an important part of workplace safety. It is also important in maintaining equipment and preventing the unnecessary wear and tear on equipment that is so common in the industry. Unfortunately, many people who claim to have crane operator training do not have the correct training. Just like any industry, technology and innovation have improved the efficiency and the overall capacity of modern crane systems, often leaving operators behind the times. Taking a basic refresher course offered by the crane designer and installer can quickly bring the whole team of operators up to speed. The focus of all crane operator training should be the correct and optimal use of the crane system. Of course, this will vary based on the specific system in use in your workplace and facility. Having the manufacturer provide some type of training for your operators in-house will be more specific and designed to meet your needs. While this may be an additional cost to consider, it is also going to save on wear and tear and possible lack of understanding of how to effectively use the crane to optimal levels. The overriding emphasis of any crane operator training will be safety. This is not just safety for the operator but safety for the entire crew on the floor or around the crane system. This part of training can be easily overlooked by many facilitators. However, crane operators have the ability not just to minimize accidents in the workplace, but also to prevent them from happening at all. 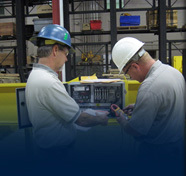 The best training programs will take the time to review and highlight the maintenance requirements for the specific crane systems. This is why training on the particular system in the facility is critical as different systems will have various specifications. Keeping any crane system well maintained will be essential for lower cost of repairs and reducing the risk of downtime.